France, Paris December 2015 COP 21 UN Climate Conference. 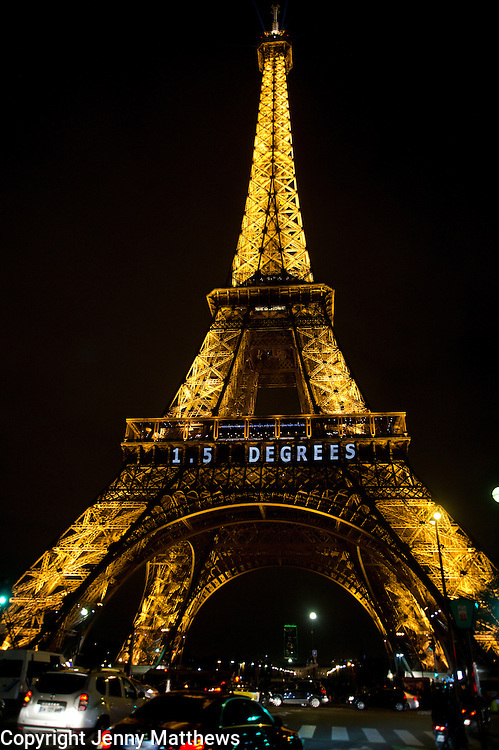 Eiffel Tower at night with climate messages. 1.5 degrees.